With Apscade TV Guzzler you can help your family, school or workplace reduce their power usage. 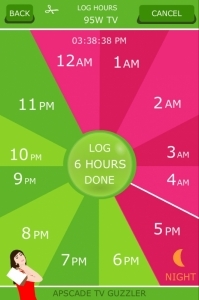 After 31 days of logging your hours, you can see an estimate of your weekly, monthly and yearly power usage. This can be incredibly useful when you are making a budget. TV Guzzler encourages you to reduce your power bill. The thermometer screen is particularly helpful with this. 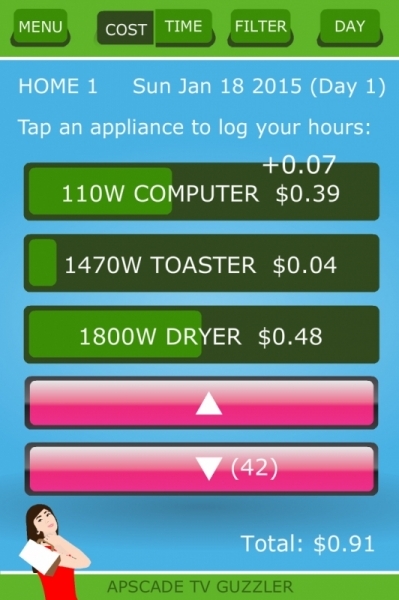 It visualises your actual usage versus an estimated average usage. 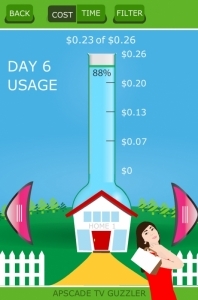 Check this screen each day to see if you are over spending or saving money.